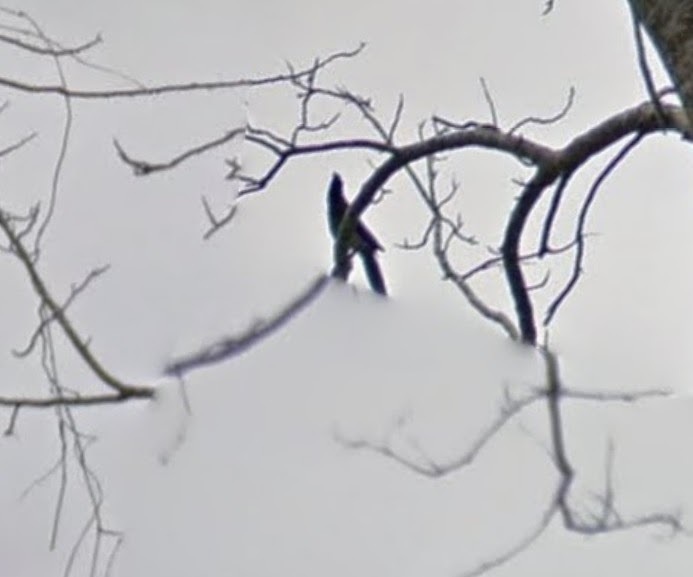 Street View Birding is perhaps the nerdiest thing I have ever done. But I love it. I love it guiltily, in the dark and when no one is looking, like a candy bar smuggled into Fat Camp. 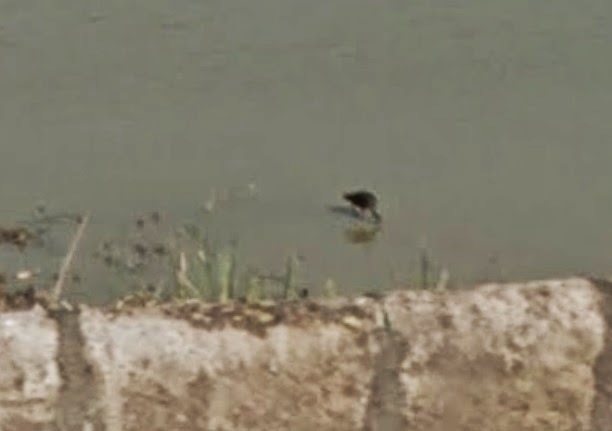 For those unfamiliar (or unwilling), sometimes when I get bored I just cruise random spots in Google Street View and try to identify birds. 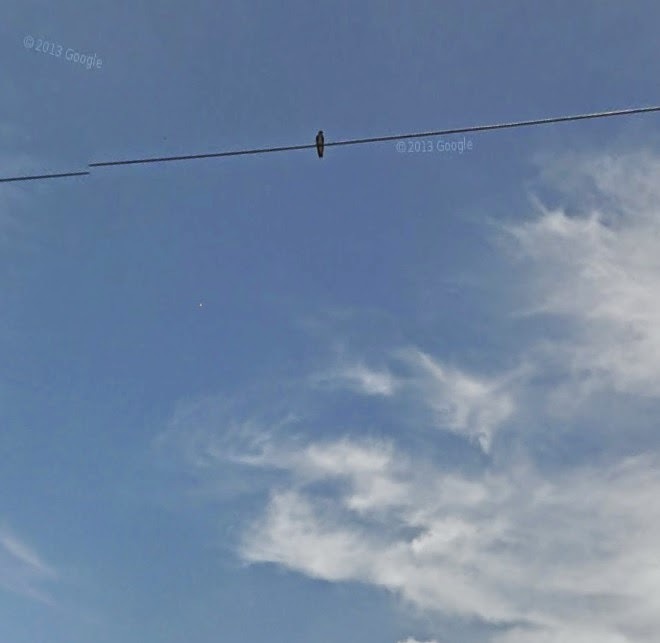 Street View Birding works like this: (1) zoom down into streetview on a place that looks good (2) look around to see if you see any birds (3) move around until you find a bird or you get too bored or your reconsider the path your life has taken. That's it. 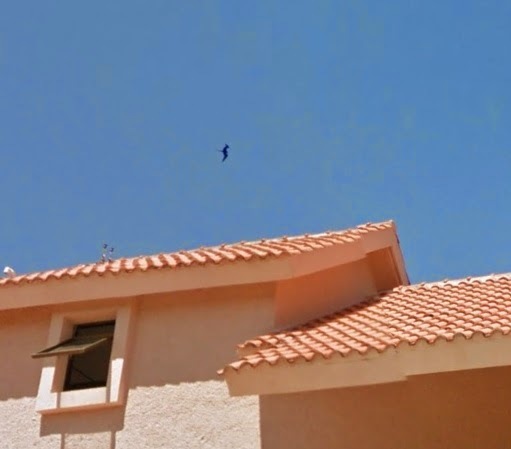 It's very challenging, because the resolution is never good enough and the birds are always too far away. But, hey, that's the challenge. I've been to Florida and Texas. 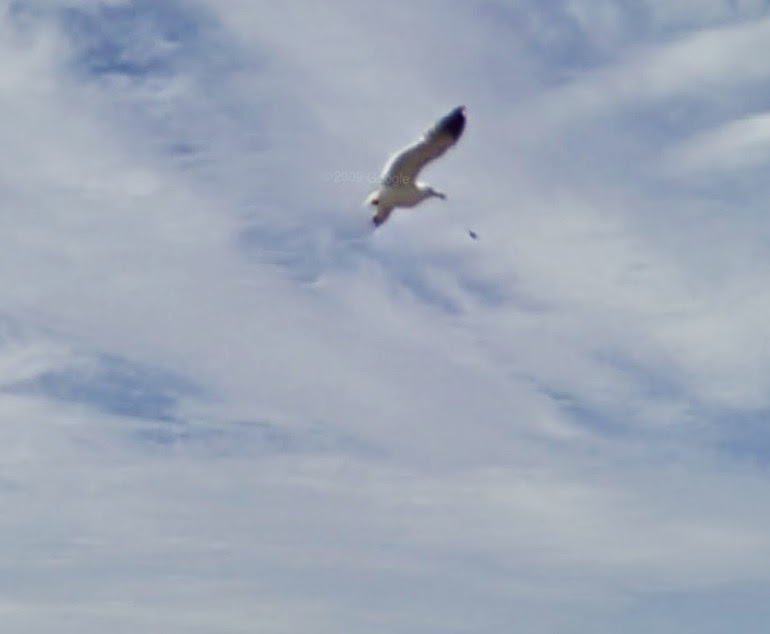 I cruised around what is likely the Street View Birding Mecca of Midway Atoll. This time I'm south of the border. I've never birded Mexico except for two weeks ago, when I heard and saw birds on the other side of the trickling Rio Grande in Big Bend National Park, but I've heard a lot about its birding. Tropical forests in the south. Deserts and grasslands elsewhere. The Gulf of California. 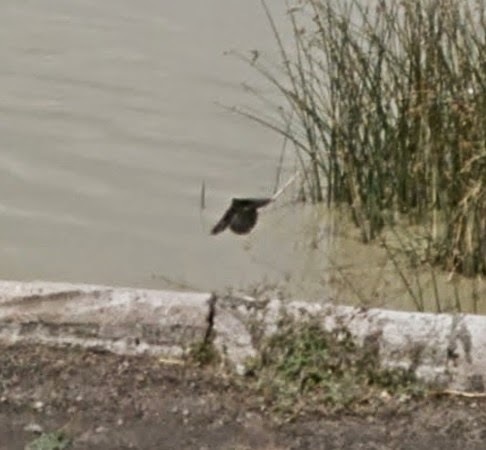 I don't know much else about the country of Mexico, and I don't know its birds. Sorry. These IDs are all guesses so feel free to pitch in. 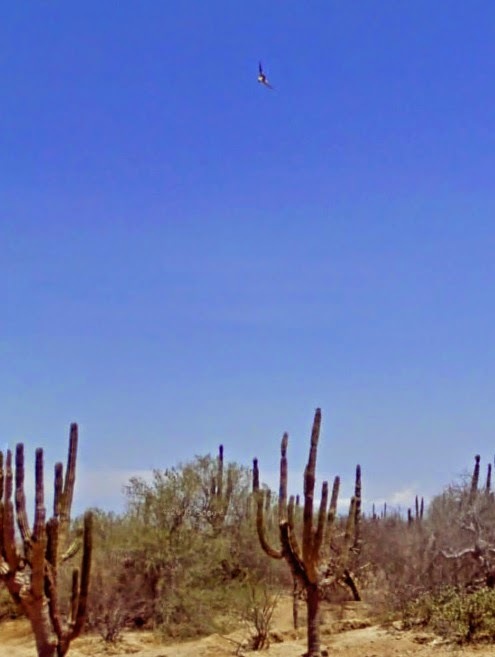 I've heard that Baja is dangerous and whatever, but it looks pretty nice in streetview. Some quaint little harbors. Lots of cacti. 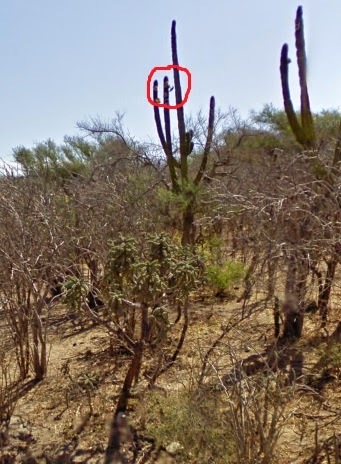 The first bird I found was on a cactus, and is probably a Gila Woodpecker. 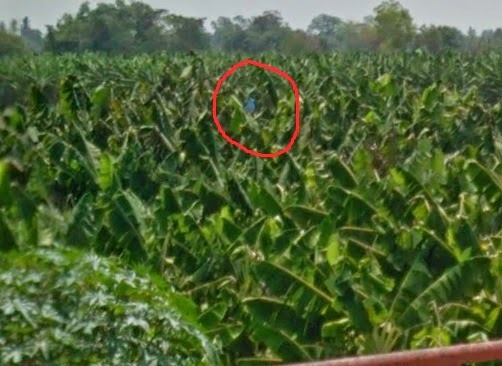 See it circled in red there? Click to enlarge. I hit a good one next. 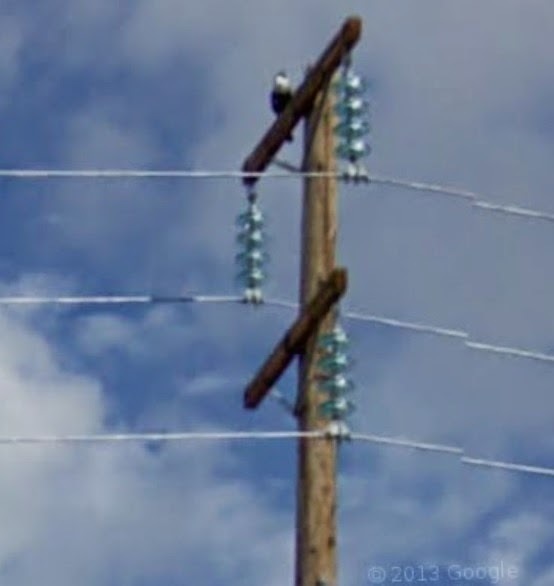 Real Life birders know that telephone poles and wires are a good place to look for sitting raptors, and Street View is no different. On one pole along the Transpeninsular Highway outside the town of Santa Rosalia I found what I think is a Crested Caracara. Pretty cool. 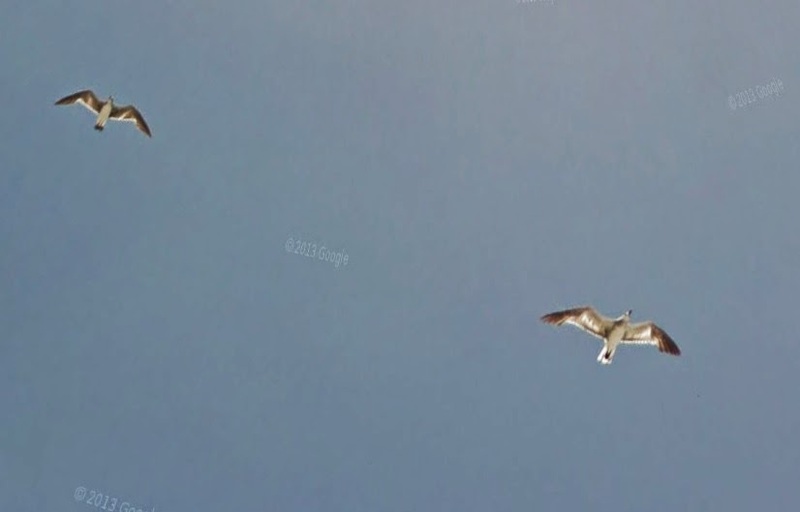 Elsewhere in Baja, I found a mystery gull and a mystery bird that I can't even figure out. Let me know what you think. 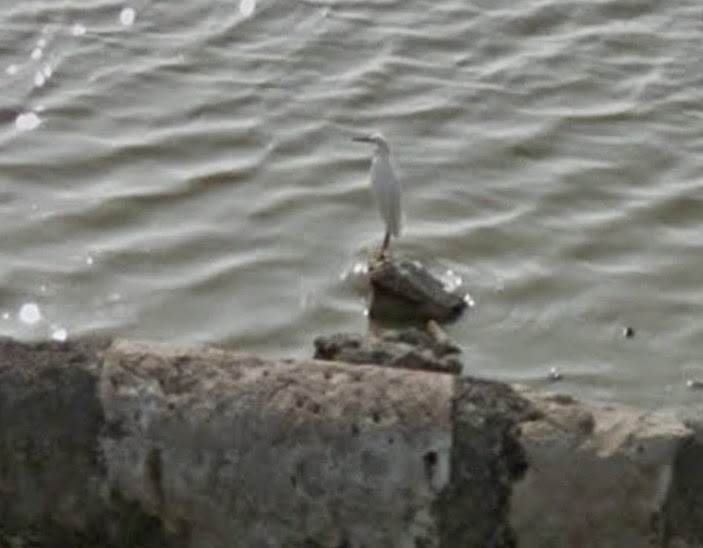 Roads near water and causeways seem to be good for Street View Birding. Open expanses, birds identifiable by shape. 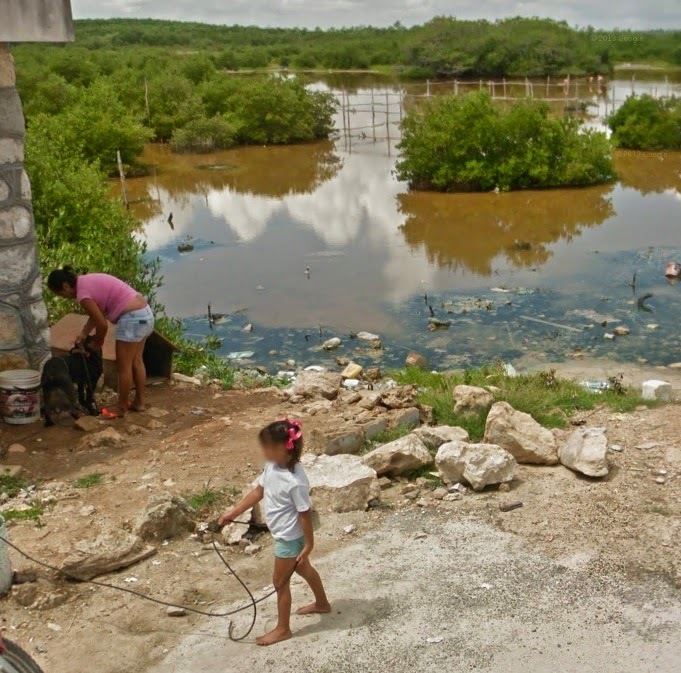 West of Mexico City I found a causeway across the Lago de Cuitzeo that was something of a jackpot for SVB. Tons of egrets. Tons. 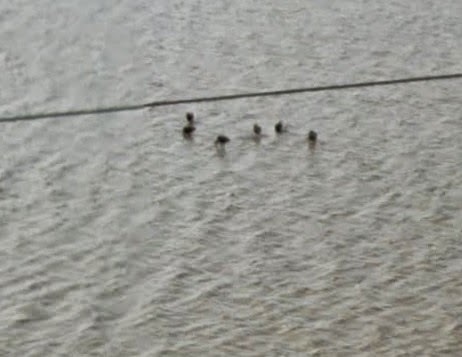 Also: blackbirds and unidentifiable shorebirds and what look like coots. Street View Birding can be a long slog, so it was nice to see a lot of birds for a change. Flamingos, man. 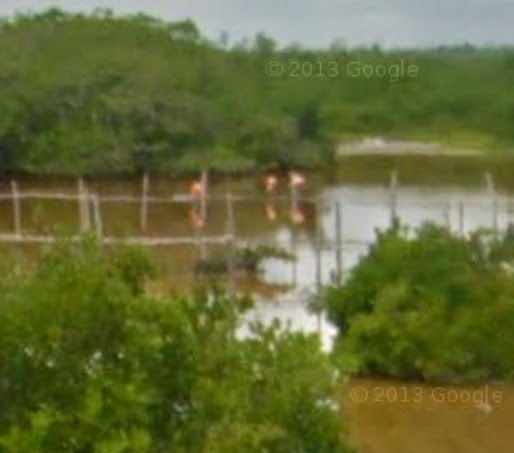 American flamingos. 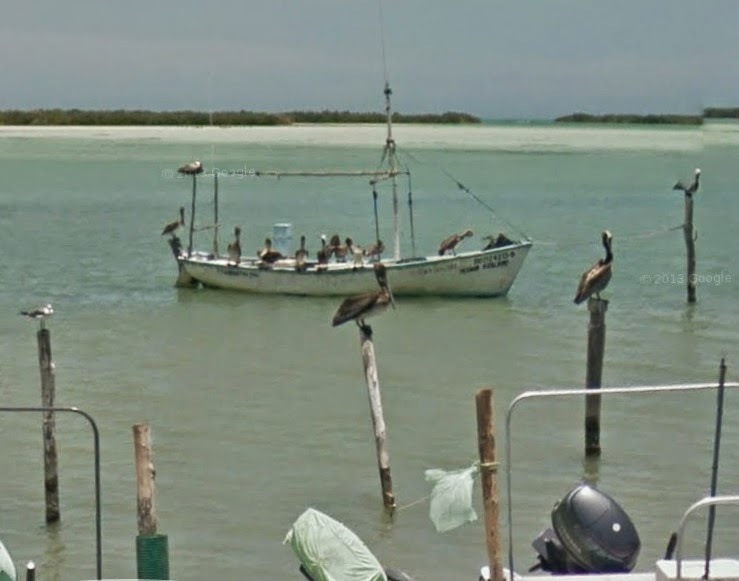 I figured these guys would be an easy get via Street View: big open-water birds that are friggin' bright pink. 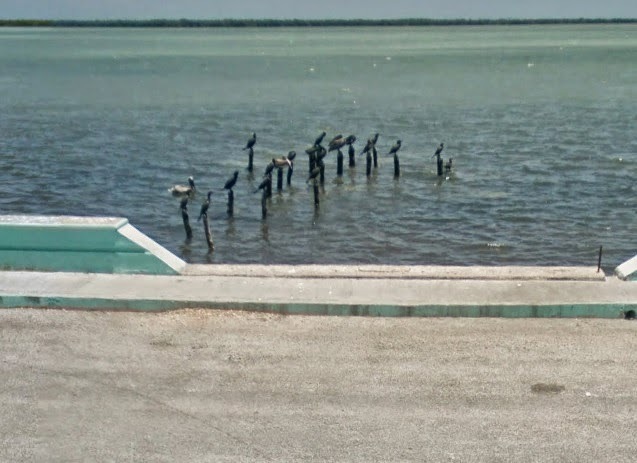 I used eBird to hone in on areas where flamingos had been seen, and there are plenty of bridges and water around there, but I was coming up empty. Even the area near this sign didn't produce anything. I love that picture. 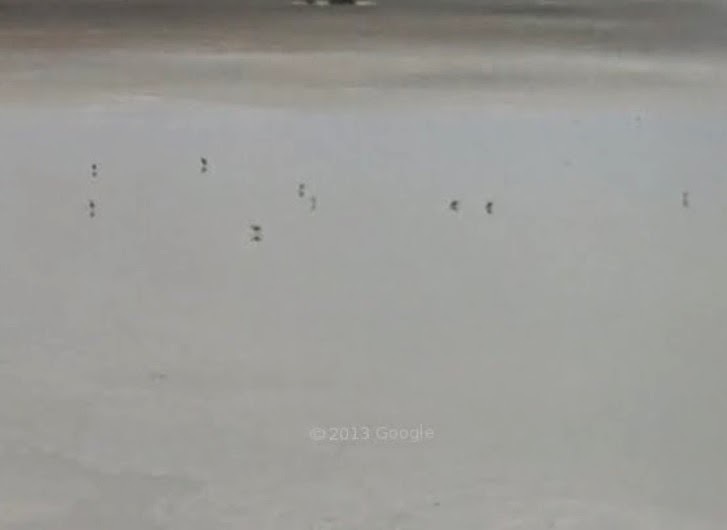 A family just going about its day along a beautiful marsh filled with flamingos. Here's a zoomed in shot. 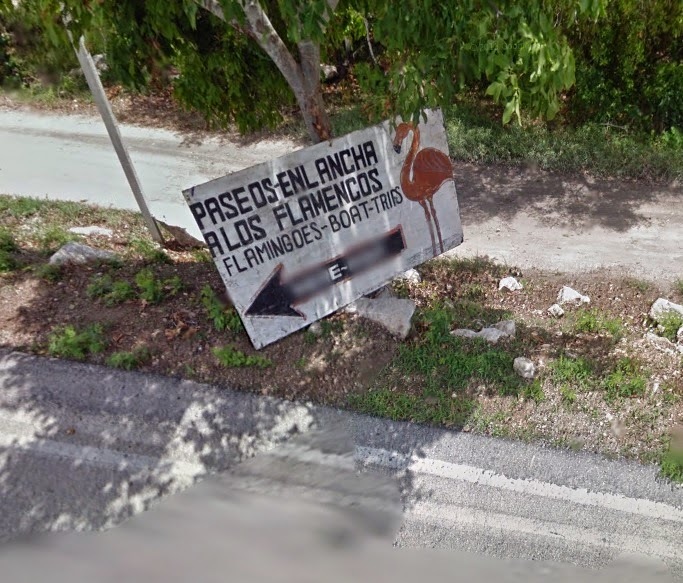 Finally, what's likely a Magnificent Frigatebird in Playa del Carmen. WHELP that's it, folks. 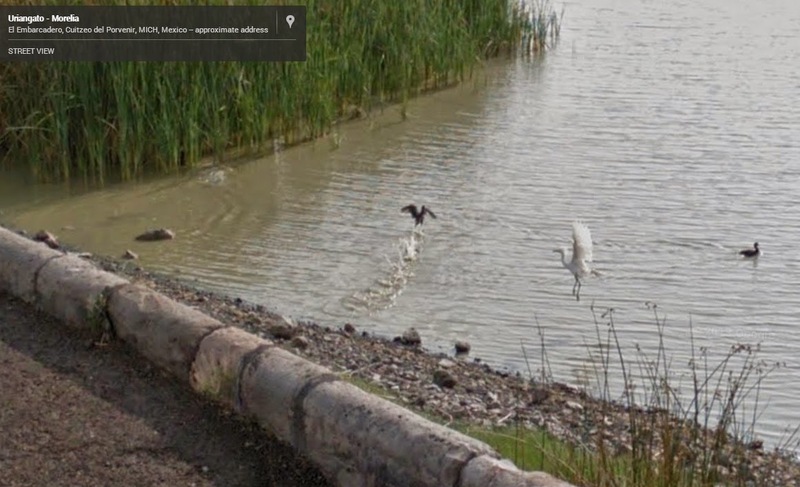 Google Street View Birding is a terrible waste of time and a hell of a lot of fun. If you find anything out there, let me know. Nick, these are great -- please keep them coming. But, do yourself a favour and get to Mexico. The birding is beyond amazing: there are endemics on street corners. 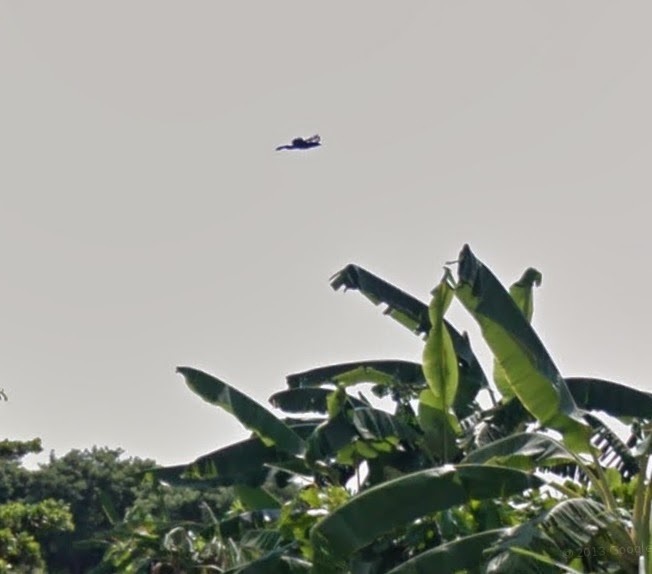 I've birded San Blas/Puerto Vallarta, and it was fantastic. 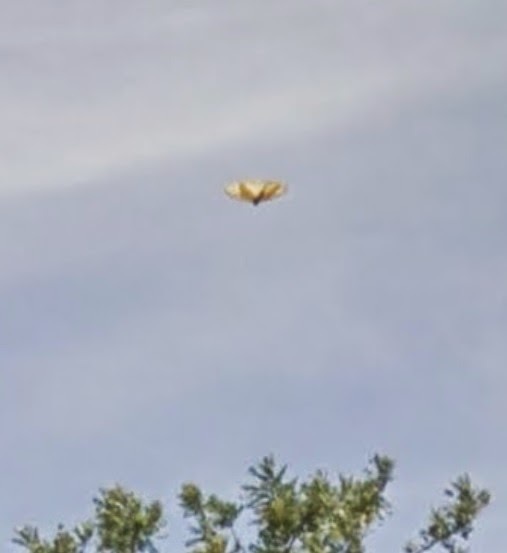 Typical conversation: "Oh look, a Golden-Cheeked Woodpecker." "Where?" 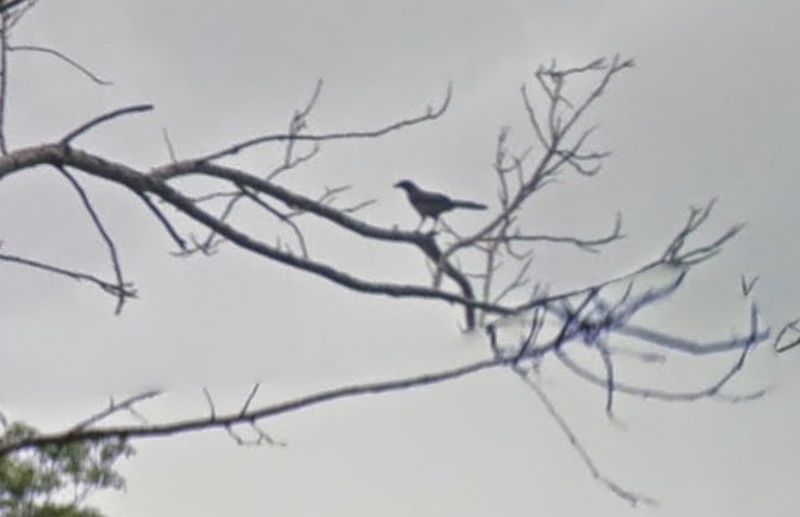 "Right there, near the San Blas Jay, in the tree above the Rufous-Backed Thrushes." Go. And have the most memorable birding trip you will ever have.